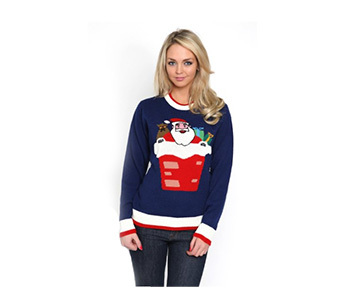 Santa Christmas Jumper . 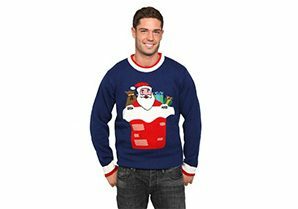 Enjoy the festive season with super fun novelty Xmas jumpers. 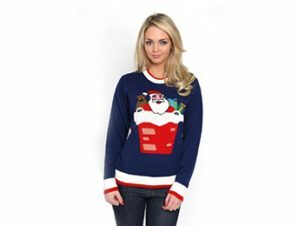 Perfect for all Christmas occasions, whether you are opening your presents on Christmas morning, out carol singing or just getting merry down the pub, a proper fun jumper will bring a smile to everybody’s face and really get you into the Xmas spirit. 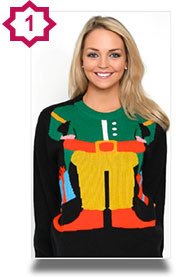 Ideal jumpers for parties. Here are our favourite novelty xmas jumpers for 2012. Unisex design, available in 4 sizes. 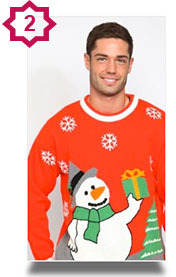 Add some extra cheer to Xmas with this Ultra loud, bright red snowman jumper. Suitable for men and women. Available in 4 sizes. Santa and his sleigh Christmas Jumper. 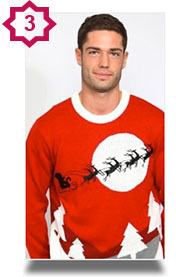 Santa red, suitable for men and women. Everybody’s favourite reindeer. 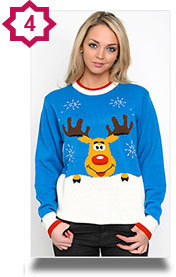 Super cute Novelty Xmas jumpers featuring Rudolf and his 3D red nose. 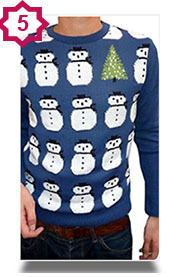 Snowmen and Christmas tree design jumper. Suitable for ladies and men. S,M,L & XL sizes. 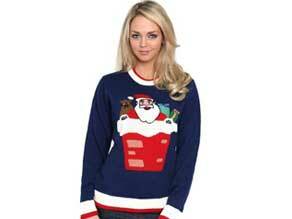 Ramp up the Christmas spirit with awesome Novelty Xmas Jumpers.